US guerilla artist Ron English bought Banksy´s „Slave Labour“ artwork, which was originally painted on a wall of London´s Poundland shop for £561,000 – so he can whitewash it. 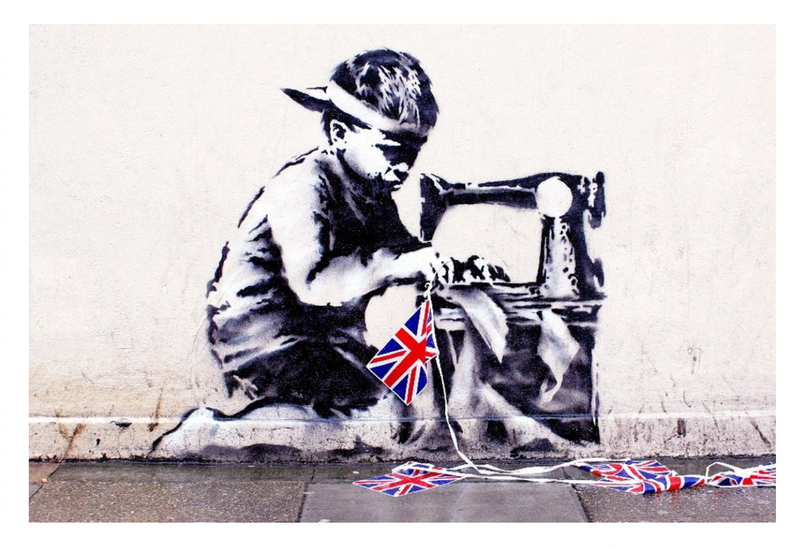 „Slave Labour“ depicts a young child on his knees at a sewing machine, producing a string of Union Jack bunting. It was painted on the side of a bargain store in Wood Green in 2012 and is believed to be a protest against sweatshops used to manufacture souvenirs for the London Olympics. 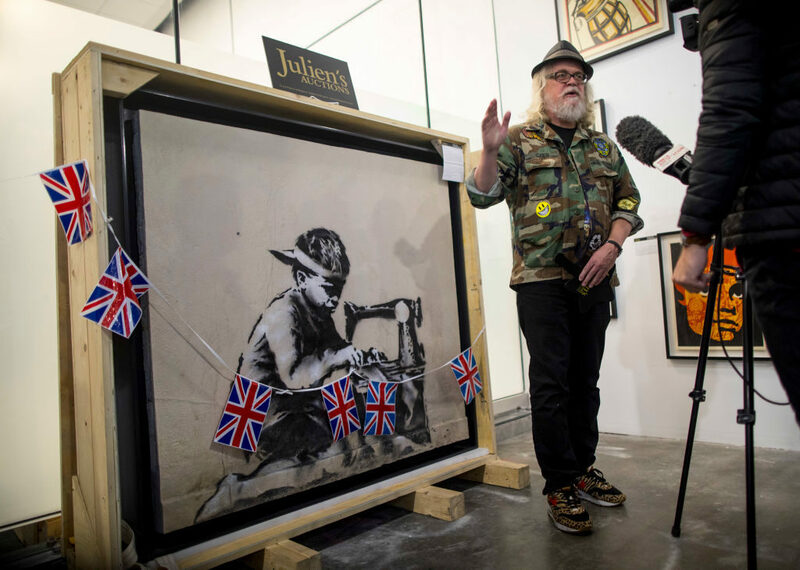 „Slave Labour“ was sold by Julien’s Auctions in Los Angeles on Wednesday and was bought by American artist Ron English, who revealed he plans to whitewash it in protest against street art being bought and sold. In the late Nineties, the American guerrilla artist Ron English received word from his agent that he had an admirer: a young Englishman who went by the name of Banksy. English, 52, hasn’t been doing badly either. According to his people, English’s work sells at between £18,000 and £135,000. Over the past 30 years, the man hailed as the „godfather of graffiti art“ has been waging war on corporate America by „liberating“ its billboards.